India is a profoundly spiritual country, and festivals of all sorts are at the heart of people’s lives. 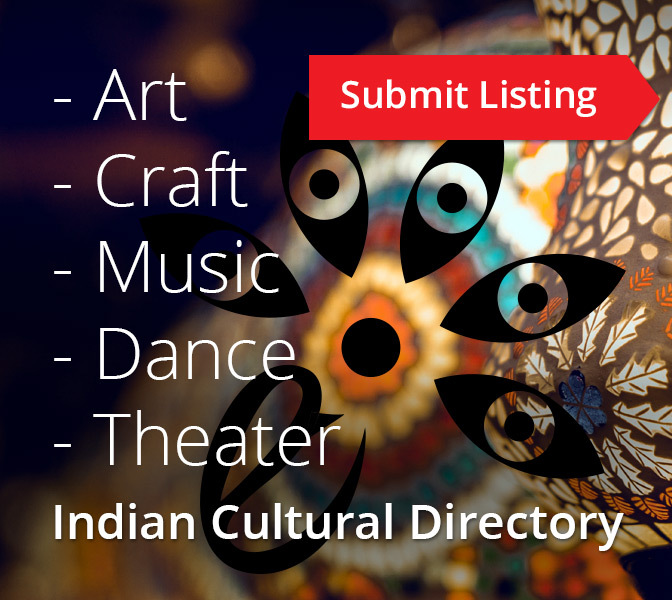 The numerous holidays and festivals are held throughout the year open a unique chance of seeing and learning more about rich Indian culture. Don’t miss these popular festivals in India. 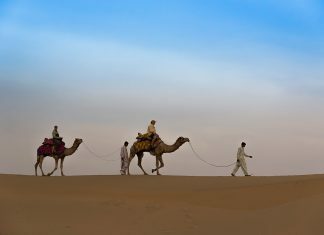 Let incredible India impress you with ancient and colourful traditions! Ganesh Chaturthi is probably one of the most popular of Hindu holidays. It honours the birthday of Lord Ganesha, the elephant-headed Hindu god of arts and wisdom, a younger son of Lord Shiva and Parvati goddess. The holiday falls on the 4th day of the bright fortnight of Bhadrapada in August or September. 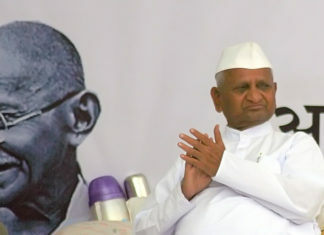 Celebrations are observed throughout India. 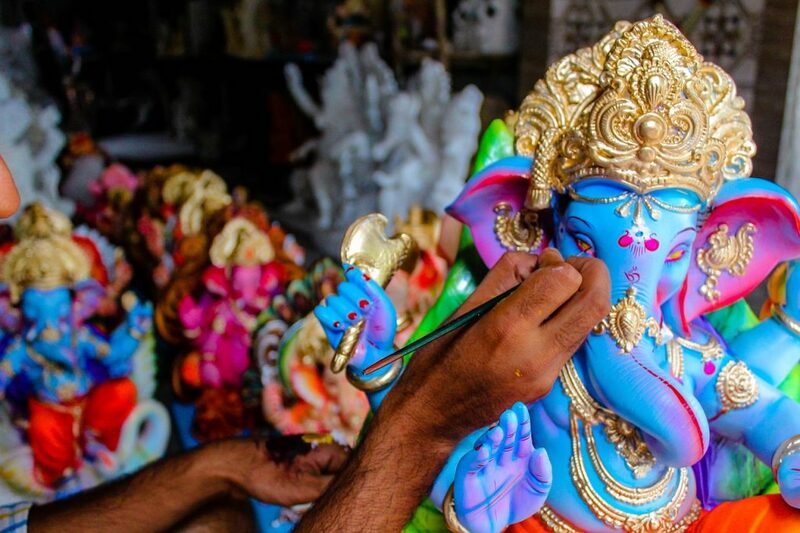 During the festival, you’ll witness huge crafted statues of Lord Ganesha installed in homes and public spaces on the specially-constructed and decorated podiums. For over a week people worship Ganesha, offering jaggery, modak, coconut, durva grass, and red hibiscus flowers to the idols. At the end of the festivals, the sacred statues are paraded through the towns with an accompaniment of dancing and singing. Then they are submerged in the ocean waters. One of the most famous celebrations takes place in Mumbai, where about 150,000 statues of the worshipped god were dropped in water. Goa Carnival is one of the most colourful events in Goa that has been celebrated here since the 18th century. It’s a unique part of Portuguese heritage in Goa, as the area was a colony for over 500 years. The state hosts fantastic parades with colourful costumes, dances, beautifully decorated floats, and lots of music. The Carnival is an excellent showcase of the Goat art and culture, food and music. The most popular float parade is held in Panaji; it is led by a big float hosting King Momo who declares the decree of food, drinks and merry. 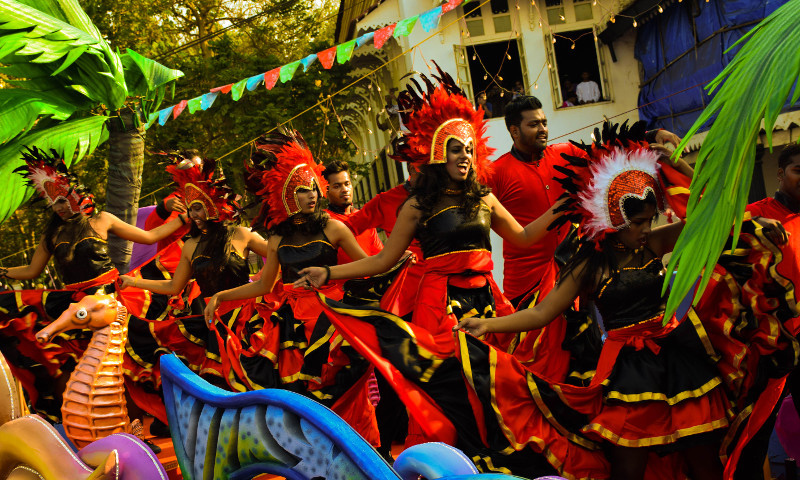 On the final day, watch the red-and-black dance held in Panjim by the Clube Nacional, it’s simply incredible! Every day is about eating, drinking, and fun. Evenings are filled with non-stop parties. The festivities usually fall in February or March before the Lent and last for three days and nights. Goa is the only part of India that celebrates the carnival, so tourists from other areas head there for celebrations. One of the most anticipated festivals of the year, Diwali, a Hindu festival of lights, celebrates the victory of light over darkness, good powers over evil ones. Hindus honour the return of Lord Rama, his wife Sita, Lord Hanuman and brother Lakshmana to Ayodhya from the 14-year exile in Sri Lanka. Their path was illuminated by the ‘diyas’ (traditional oil lamps) to signify the triumph of good over evil. 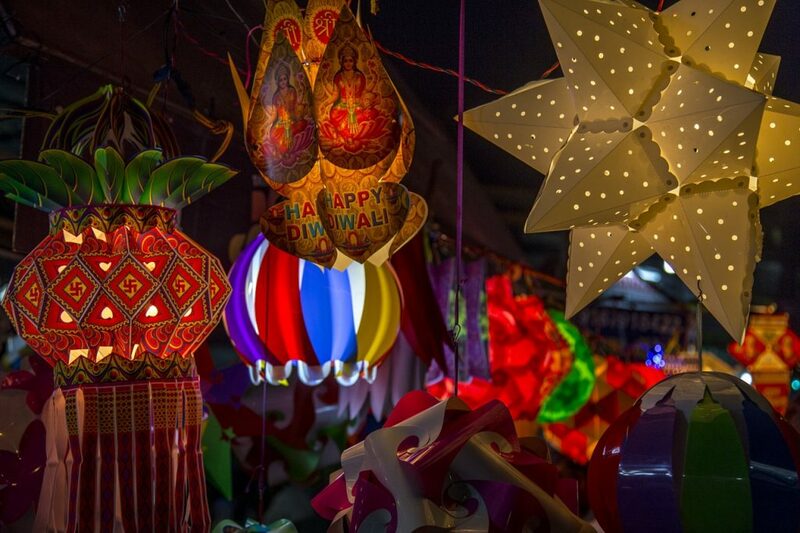 Nowadays the Festival of Lights is celebrated with fireworks, lit clay lamps and candles. Every year, Diwali falls in October or November, depending on the moon cycle. It’s traditionally observed on the 15th day of Kartik, the holy month in the Hindu calendar. Holi is another great celebration of the victory of good over evil. It is also a festival that marks the end of winter and the abundance of the spring harvest. 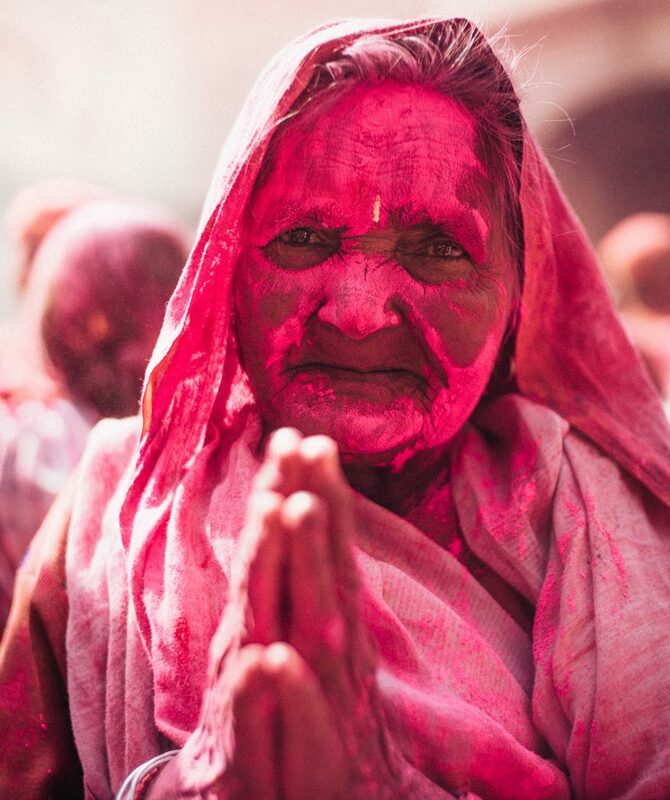 Locals and foreigners often call it “Festival of Colors”. During the celebrations you’ll people exuberantly throwing coloured powder and water at each other, having parties, and dancing under water sprinklers. They say you can try some Bhang, a cannabis-based paste. For everyone who doesn’t mind getting wet and dirty, Holi is a great carefree celebration. The biggest Holi celebrations take place in Mathura and Vrindavan, about four hours from Delhi. There are some safety issues for women due to the rowdy behaviour of the local men, so it’s recommended to travel with a guided group tour. Onam is the biggest festival in Kerala. This ten-day harvest festival is a celebration of the homecoming of the mythical King Mahabali from the underworld. The culmination falls on the last day of the festivities. This festival is rich in culture and heritage of Kerala. You’ll see how people decorate the ground in front of houses with flowers shaped in beautiful patterns to as a sign of welcoming the King. The celebrations also include wearing new clothes, eating feasts served on banana leaves, sports, games, dancing, and snake boat races. 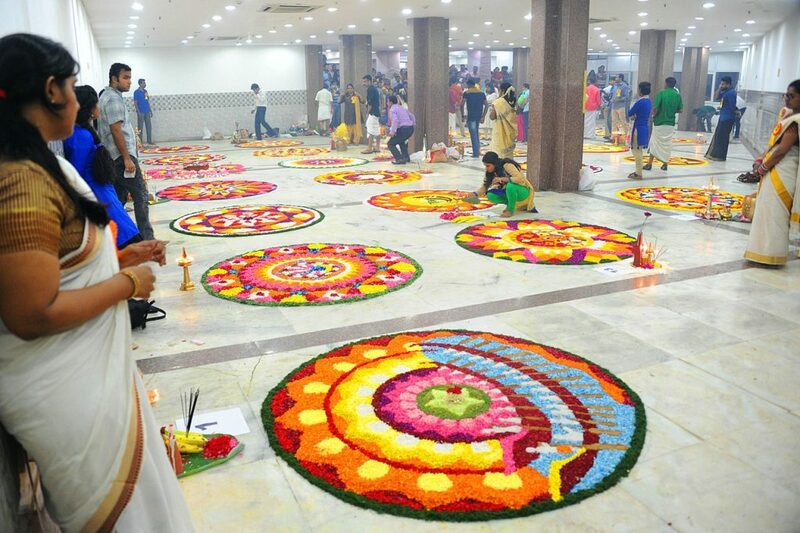 The most spectacular Onam celebrations take place in Kochi, Thrissur, Trivandrum, and Kottayam.